WWE Clash of Champions 2017 took place on December 17th from TD Garden in Boston, Mass. The event consisted of seven matches. One of which took place on the event’s pre-show. 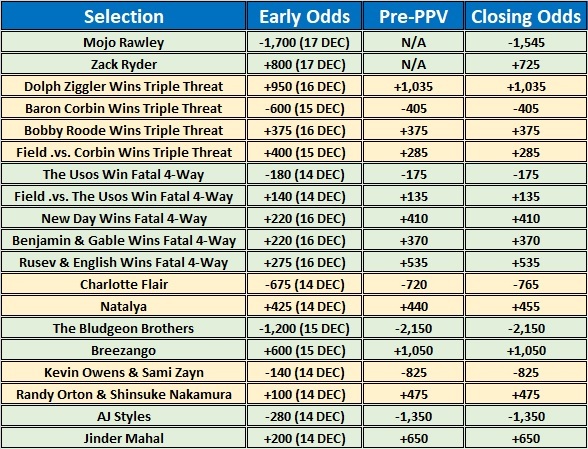 Below is a table showing the early and closing betting odds that were available from The 5Dimes Sportsbook and Casino.